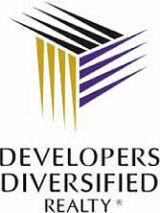 Developers Diversified Realty owns and operates shopping centers in 41 states of US and in Brazil and Puerto Rico. The Developers Diversified Realty Company was founded in the year 1965 and has its headquarters located in Beachwood, Ohio. The company manages more than 450 retail stores. The Developers Diversified Realty Company also offers franchising of its shopping centers. The portfolio of the company is to set up an open air, value oriented shopping centers for a stable populations and high growth potentials. The company has about 682 employees and total assets of $7.77 billion with a net income of 251 million dollars. There are currently 0 consumer reviews about Developers Diversified Realty Corporation available. Share your review. Please take a note that you are about to post a public review about Developers Diversified Realty Corporation corporate office on CorporateOffice.com. This review will be public, so please do not post any of your personal information on this website. If you would like to contact the corporate offices of Developers Diversified Realty Corporation, please use their contact information such as their phone number, website, and address listed above to contact them. However, sometimes staff from Developers Diversified Realty Corporation headquarters do read the reviews on this website.